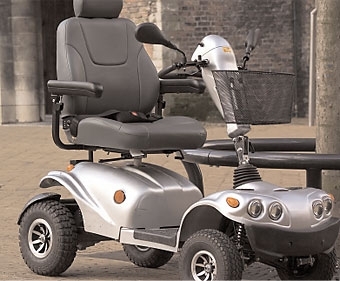 Novotechnik's sensor is used in Segway's i2 and x2 Personal Transporter (PT) models to sense the position of the handlebar enabling the rider to intuitively steer by merely leaning in the direction she or he desires to turn. 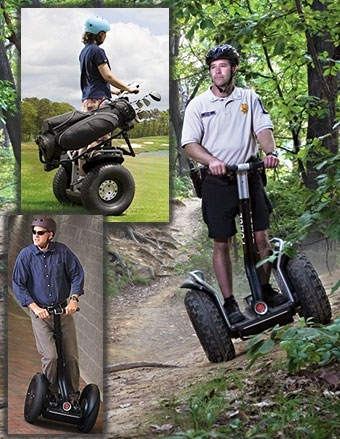 This sensor has an independent redundant output for additional reliability and is an integral component in Segway's dynamic stability control, keeping the rider upright. 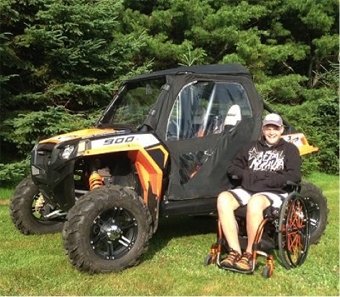 Some physically challenged individuals don't have the ability to work a steering wheel or accelerator or brake pedal. For these people, a well known German manufacturer made a joystick control that combines all these functions. The key is redundant Vert-X 27 non-contact rotary position sensors used in a triple configuration. These sensors combine long life, reliability and a -20°F to over 155°F operating temperature range all while providing a uniform output that eliminated the need for a costly and complicated mechanical system in a prior model. Position sensing of steering, throttle, brake, gearshift and moving ramp. 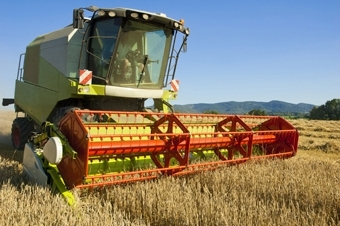 A commercial combine/mower manufacturer needed a small, touchless sensor to accurately measure the position of the mower arms as they are lowered, raised or locked in position. Novotechnik’s RFD 4000 met their requirements including sealing to IP 69K, temperature range of -40 to +125 °C as well as high shock and vibration tolerance. They are ideal for applications where continuous exposure to the elements is expected. 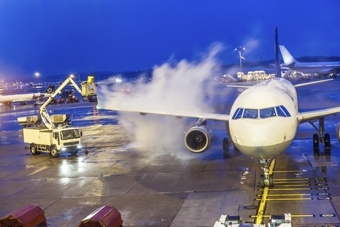 De-icing airplanes is serious business, so in designing vehicles with apparatus to de-ice, nothing is left to chance. The de-icing spray is delivered to plane surfaces via a sprayer at the end of an extendable boom to lift the operator and sprayer to a working height above the wing of a plane. Novotechnik’s RSM 2800 magnetic encoder measures the turns and angular position of the boom’s gearwheel with 16-bit resolution in a small package. 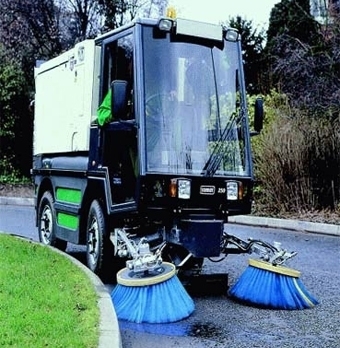 Road sweepers have to be able to maneuver between parked cars, street furniture, road works and a wide variety of other obstructions. 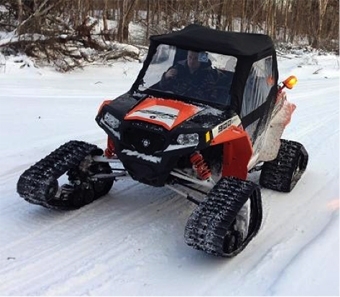 Four wheel steering lowers the turning circle of such vehicles and offers customers real benefits by way of selling features for such vehicles. Two SP2800's are fitted to each vehicle. They are fitted directly to the Kingpins of one front wheel and one rear wheel. When the driver turns the steering wheel a microcomputer adjusts the relative front / rear wheel angles to provide optimum performance. It relies on the signal from the SP2800's for the angle data. The snow blower removes the snow from the rail tracks. 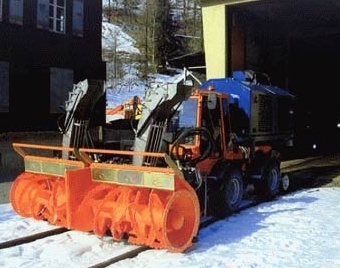 The position above the track and the lateral position of the two snow blowers is adjusted with hydraulic cylinders and controlled with integrated TLI's. 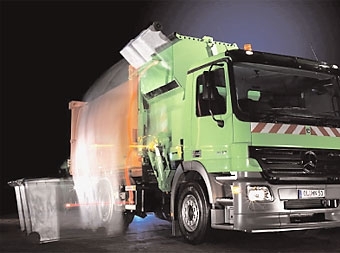 The manufacturer of the waste disposal truck pictured here looked for value and reliability in a position sensor to monitor the lift and dump mechanism for its trucks. The Vert-X 28 excelled as it replaced four potentiometers with a single non-contact sensor that is impervious to dust and experiences no wear. The one sensor doing the job of four is possible because the Vert-X 28 series contains four functions in a single unit.